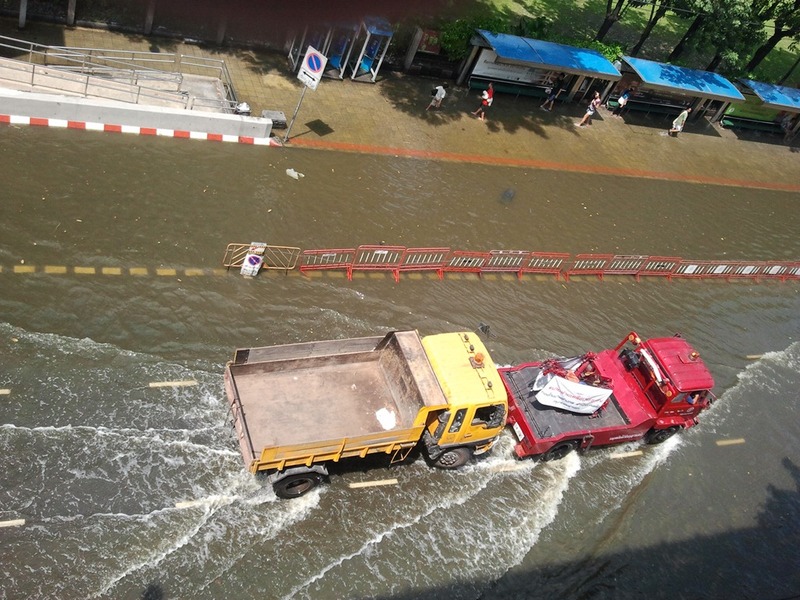 Having spend a few days in Thailand (Phuket and Bangkok) here are some impressions from the impact of the floods. Even supermarkets in Phuket are feeling the impact of the floods in and around Bangkok. Some products are no longer available. Shops in down-town Bangkok (Siam Square) getting prepared for the worst. Some people are getting prepared even more professionally by building real concrete barriers around their shops. And a few BTS stations outside of the city centre things are looking pretty bad indeed.